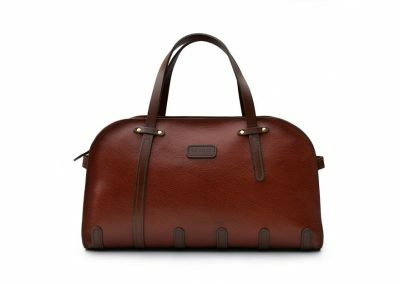 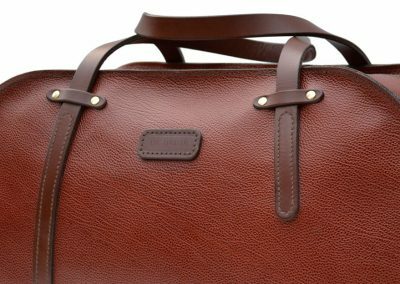 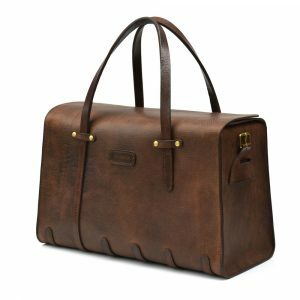 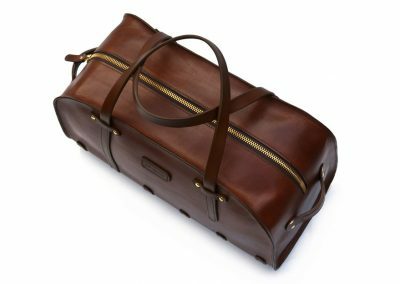 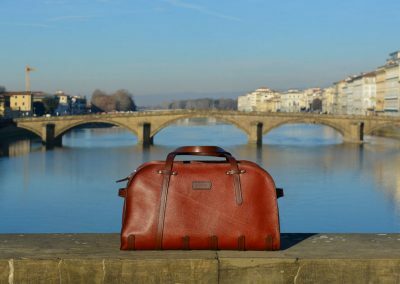 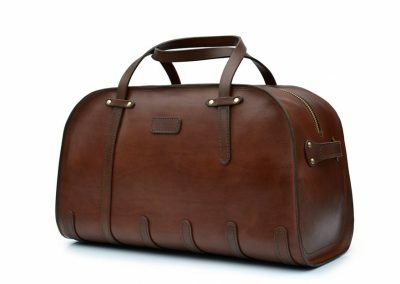 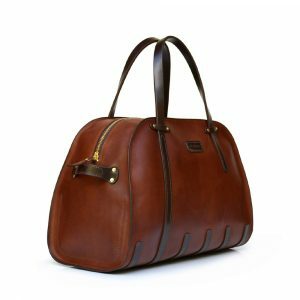 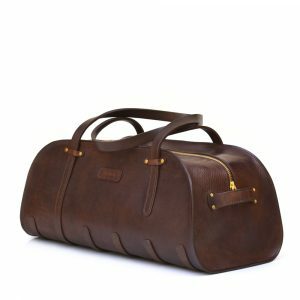 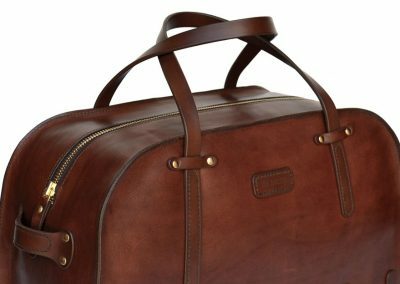 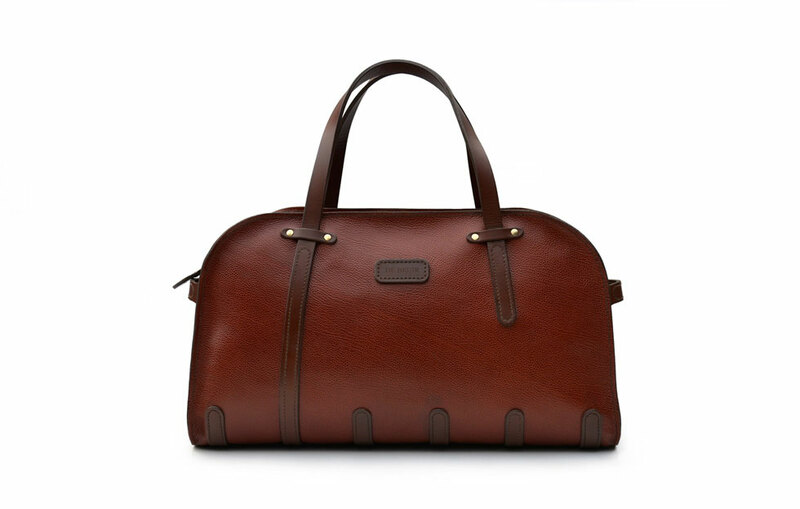 Stylish, comfortable and sophisticated, this Holdall is also very practical, helping to create that stress-free travel experience. 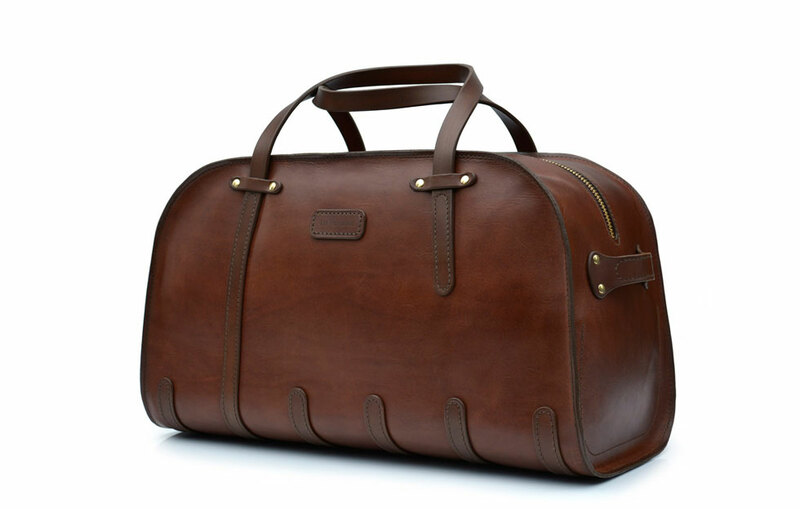 Perfect for weekends away, business trips, holidays, conferences, as well as music & sporting events. 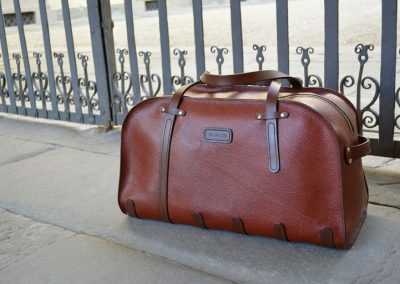 I carefully crafted the bag to meet cabin-luggage restrictions and the wide base means folded clothes can be easily placed inside; easy and effortless. 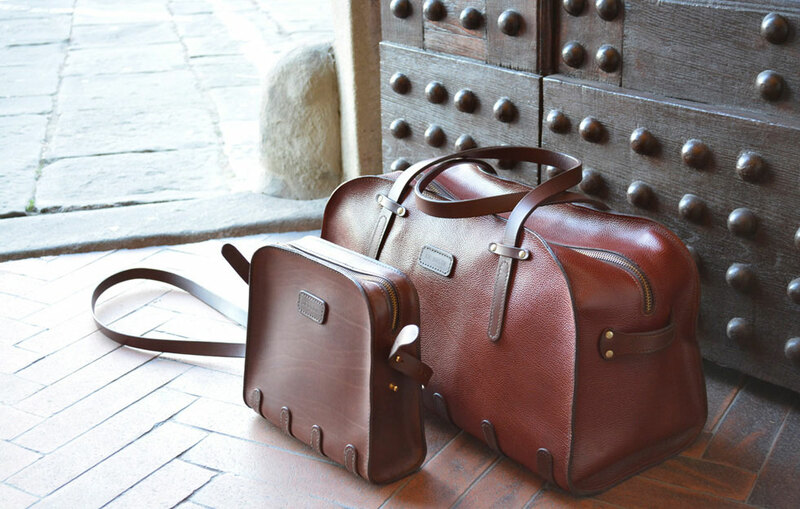 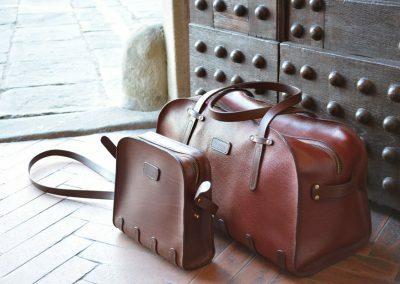 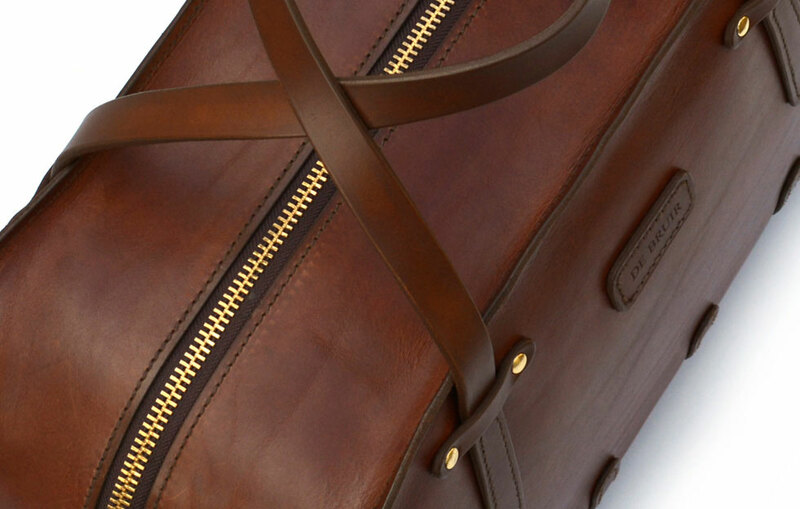 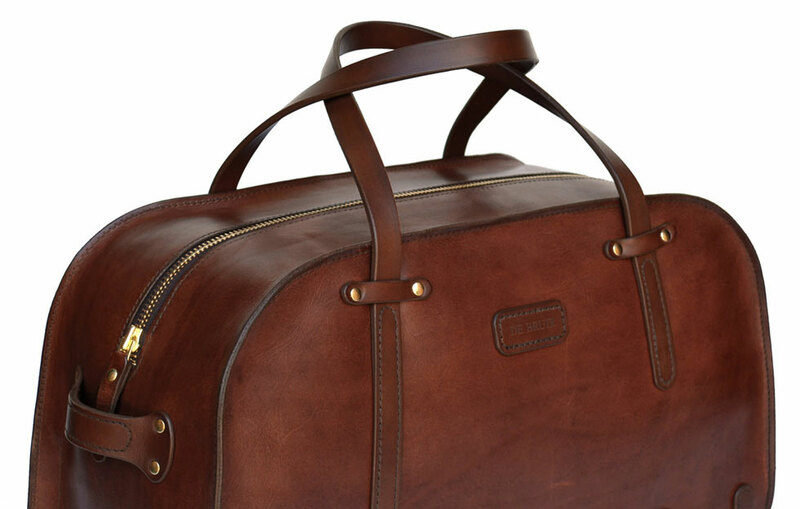 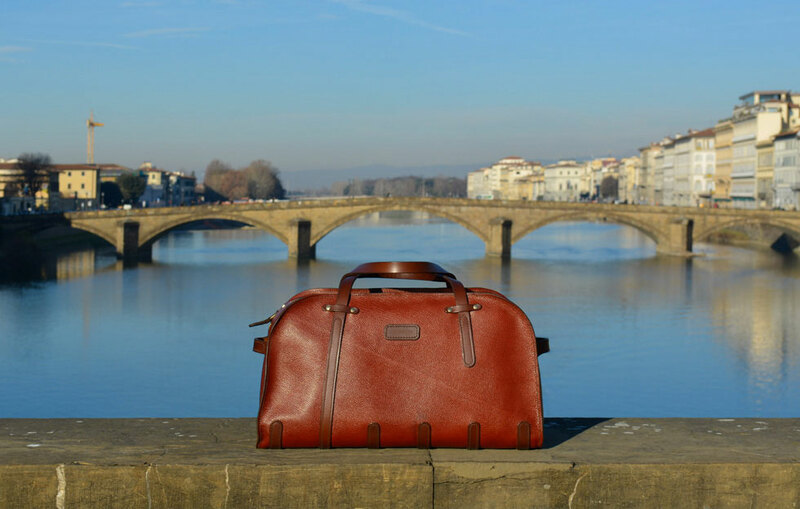 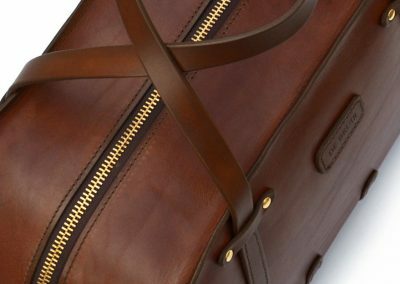 The strong, handcrafted leather gives your luggage that extra protection and insulation. 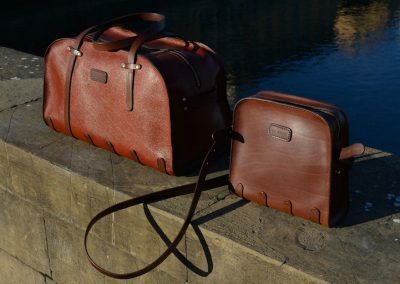 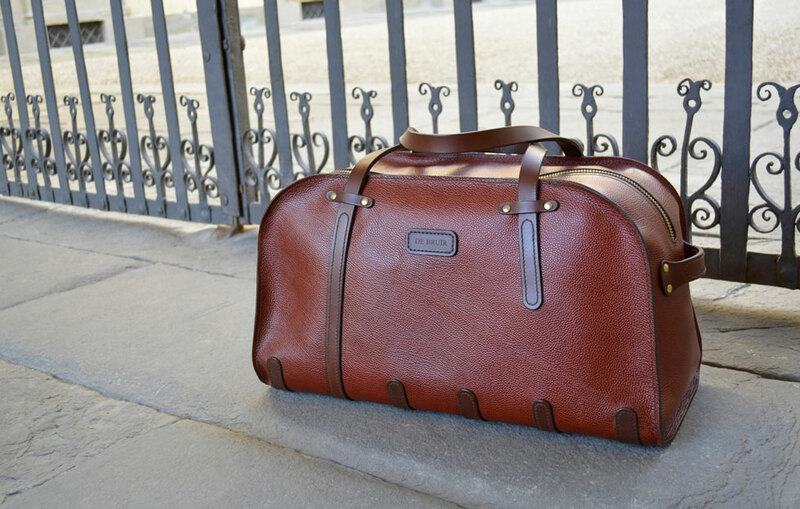 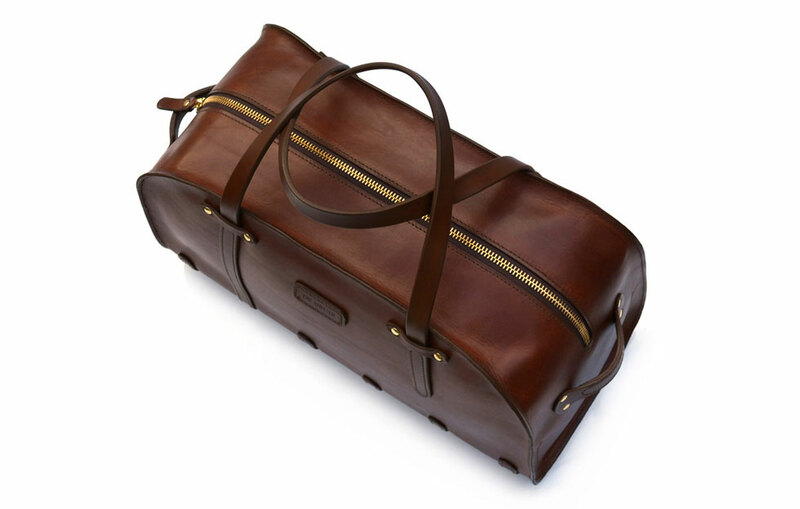 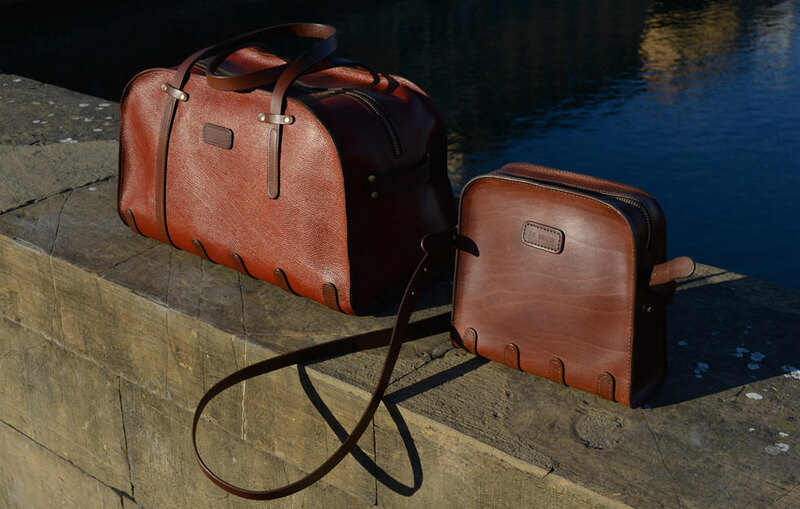 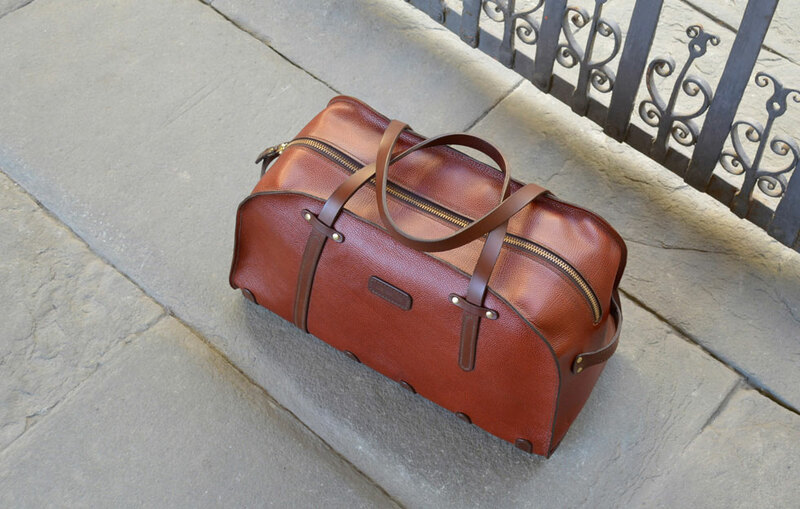 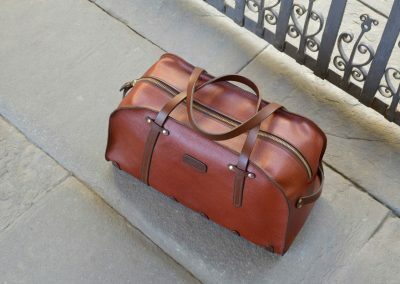 The Holdall is designed to be a convenient weekend travel bag. The dimensions are appropriate to aircraft cabin allowance. 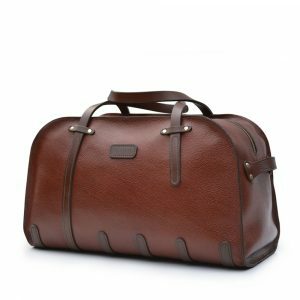 The wide rectangular shape facilitates easy packing, as folded clothes fit the width of the base. 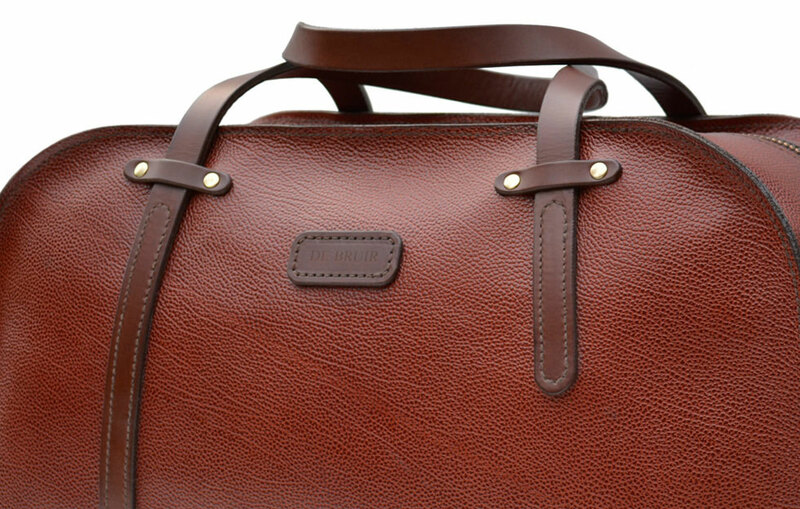 This design can be carried out in various colours and textures of leather.